How the new words are created!! How new words are created? Words are added to the language every day. Dictionaries all over the world are updated on regular basis. Quite recently, some words have gained international fame like selfie, burkini etc. How the words are added to our language is really interesting phenomenon. Let’s take an example. In 1900, electric suction sweeper was invented by J. Murray Spangler. After some time, Mr. Spangler sold it to a local business man Hoover. Hoover’s company advertised in with the name of Hoover. Google him, you may find him on facebook. I google him but could not find on internet. There are different processes which help creating new words. Coinage is the process where genuinely new words are created in a language without borrowing. For instance aspirin, nylon, vaseline and zipper etc. 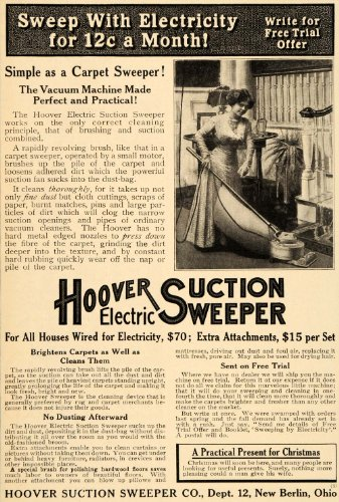 Hoover was owner of the company selling electric suction sweeper. Sandwich was a gambler who first time insisted to eat bread and meat together. Jean was the italian city of Genoa where the dress was first time stitched. Borrowing is the process where words are borrowed from other languages. This process is universal. English, being the international language, mostly languages have borrowed words from English. Probably English itself has borrowed more than all other language. Zebra is Bantu, tycoon is Japanese and yogurt is the Turkish word. All of know that Al-jabra (a brach of mathematics) was borrowed from Arabic. Compounding is technique where new words are created by combining two words. It is the evidence of human creativity that we can generate new words in new situation with the help of old vocabulary. Examples: Bookcase, wallpaper, fast-food, smartphone etc. Blending as the name suggests is a process where new words are created by mixing the old words. During the process of blending some sounds are omitted. Clipping is a process where new vocabulary is added by shortening the already existing words. It is not laziness. Rather it is efficiency where we want to say more in less time and shorter expression. Examples: ad (Advertisement), fan(Fanatic) etc… English speakers also shorten their names like Al, Ed, Liz etc. Conversion is a process where a word assumes new meaning. It adds up more meaning as when a noun also starts being used as verb. Example: chair, bottle, vacation etc were all previously used as verbs in standard English. But now a days they are also used as verbs like. He chaired the meeting. He is vacationing in northern areas of Pakistan. An other example is the word “text”. Until recently, it was used only as a noun. But with the advent of mobile phones and text messages, we see its usage as verb as well. For instance, “He texted me this morning that he is no well.” Here it means “He sent me text message”. When the abbreviations become so popular that they take the status of new standalone words. So the new word is made from the initial letters of other words. Example. CD(Compact Disc), VCR(Video Cassette Recorder. NASA, UNICEF, laser, zip and radar etc. Prefixes and suffixes are also added to give new meaning of old words.